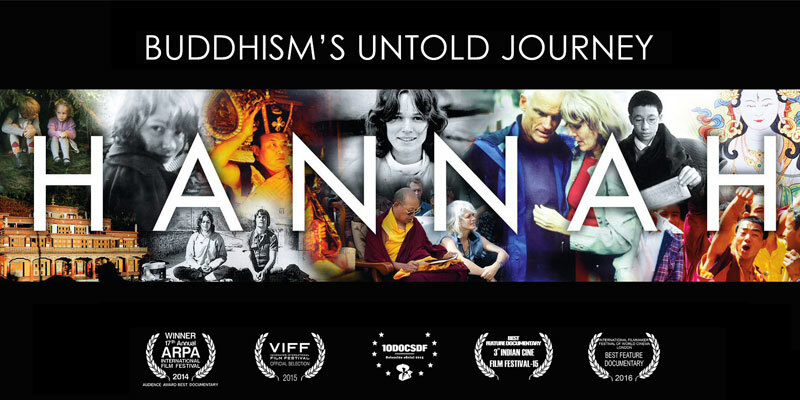 The documentary film Hannah: Buddhism’s Untold Journey has been nominated for 3 awards at the London International Filmmaker Festival 2016. The film has been nominated for Best Feature Documentary and the Scientific & Educational Award. The directors, Adam Penny and Marta György-Kessler, have also been nominated for Best Director of a Feature Documentary for their work on Hannah. The film chronicles the life and work of Hannah Nydahl, the late wife of Lama Ole Nydahl. Hannah puts the sweeping historical events of Tibetan Buddhism’s coming to the West in a deeply touching and personal context through the pivotal activity of Hannah Nydahl in supporting the Karma Kagyu lamas who visited Europe, America and other countries starting in the 1970s. Hannah has proved extremely popular not just with critics, but especially with audiences. In autumn of this year, screenings took place across several continents. It was given an extra screening after being shown at the Vancouver film festival due to its popularity. In Mexico, among many screenings in different parts of the country, the film was shown in Cinemex, a mainstream cinema, in Cancun. In Asia, the film won Best Feature Documentary at the Indian Cine Film Festival in Mumbai.